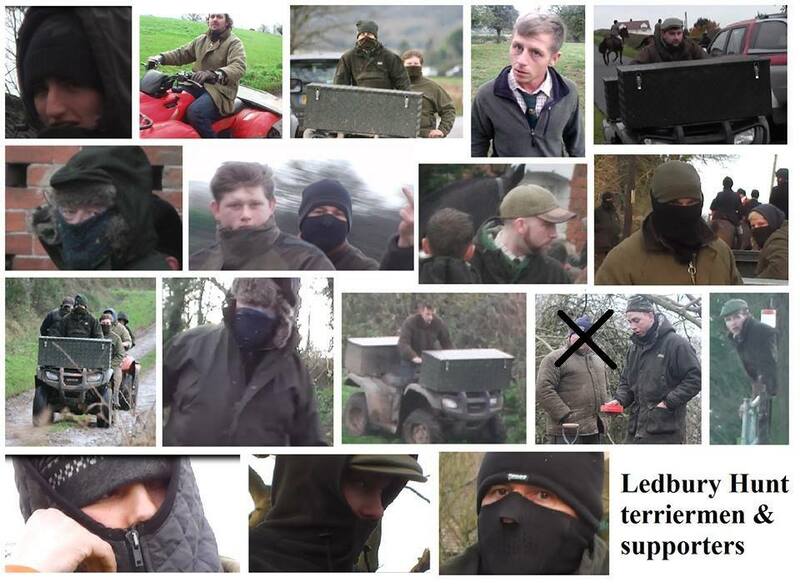 Ledbury Hunt terriermen and supporters who we’ve caught digging-out (including at badger setts), heading foxes, trying to flush foxes from drains, running off with the dead bodies of foxes (or holding them out of vehicle windows on the way past) or who have been aggressive towards antis. And so on. Some of these people are known to us already, a few are not. Some of the pictures are of the same person in different contexts / wearing different clothes. If you recognise any of them, please send us a private message as we need to identify some for legal reasons. Following a conversation with one of the men in the picture (now crossed out) we no longer need information about him as he is no longer doing terrierwork for the hunt, only following by vehicle, and he has not been involved in any incidents of aggression or digging-out / blocking setts, etc. this last season.